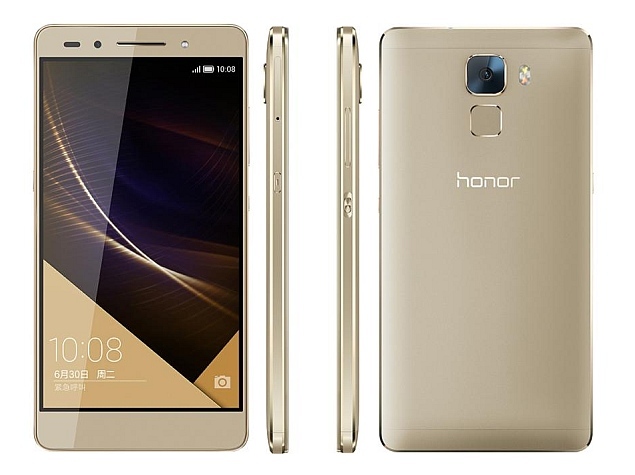 Huawei KIW-AL20 - under this name has appeared a new smartphone from the Chinese manufacturer and on its back appears inscription "Honor" by what many assumed that it will have to deal with an upgraded version of the Huawei Honor 7 series. The device will be equipped with eight-core processor clocked at 1.5 GHz, which is to be assisted by 3GB of RAM and a 5.5-inch display with FullHD 1920x1080 resolution. The entire unit will work on Android 5.1 Lollipop and for the user's files there will be allocated 32 GB of internal memory expandable with its microSD card up to 128GB. The smartphone will have a 13-megapixel camera and 8-Meg front camera, and will be released in three metal casing colors, gold, graphite or silver.